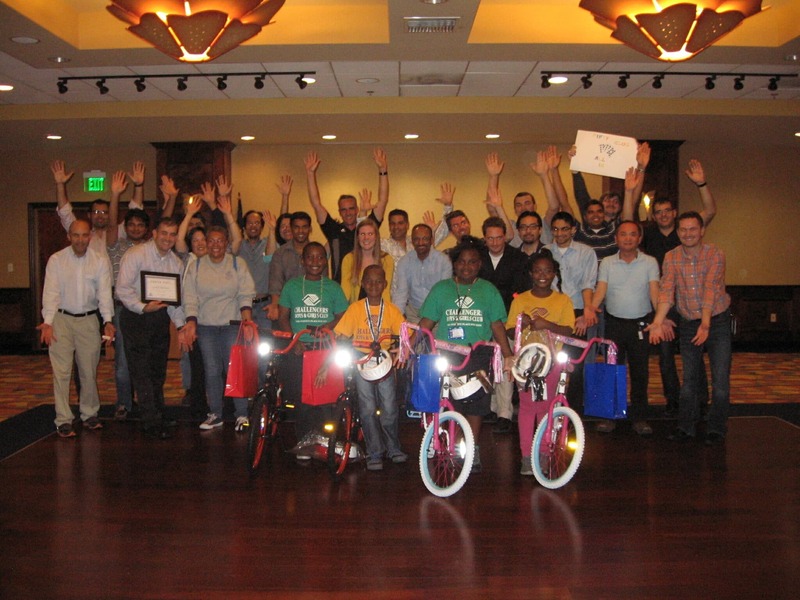 Given Imaging was looking for a way to break up some of the compartmentalization that has happened within their company, so they held a Build-A-Bike® Team Building Event in Los Angeles, California. They wanted to give employees a chance to laugh and smile outside of the daily routine, while also giving back to their community. One of Given Imaging’s core values is the belief that giving back to the community is not just a responsibility; it is an honor. They regularly participate in global disease awareness initiatives, along with events that give back to local communities and schools. 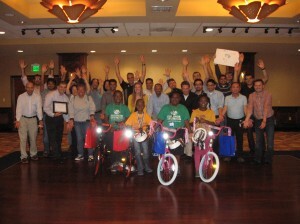 When they found out that the bikes in the Build-A-Bike® program would be donated to children from under resourced communities, they were on board. At first, the smaller teams of five-six people tried to solve their clues solely within their team, but soon realized that they needed to branch out to other groups in order to find all the answers. Once they started to work together, they were quickly able to find the answers they needed in order to receive parts to build their bikes. The exercise is a microcosm of the work place, where we can often be more effective by reaching out to others to problem-solve. This silo effect often occurs within companies, where individual departments become isolated from the rest of the company. Managers were thrilled to see the silo effect start to break up in the exercise. If you are looking for a fun, exciting way to reward your employees for their hard work, while also managing to break up the silo effect, or isolation, in the workplace, consider adding a Build-A-Bike® team building event to your next convention! Chris McNeany is a Vice President and Instructor for the The Leader’s Institute®. He is based in Los Angeles, California, but he teaches classes in San Diego, San Francisco, Las Vegas, and other west coast cities.